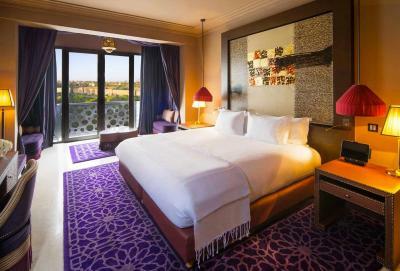 Lock in a great price for The Pearl Marrakech - rated 8.4 by recent guests. The Location. The Style. The spa. The internet connection speed. The staff. Prices of deinks including soft drinks were very expensive! Great location, very helpful staff, excellent facilities, especially the room itself and the Hammam and pool. Breakfast and the rooftop pool were also really good. Great service of staff. Hotel a bit costly, but after all, it's a very good hotel and expected to cost like that. All facilities are great, especially the SPA. Walking distance from the main square, even though I am not a fan of walking, it was close enough and worth the walk. Lovely hotel in a great location. The breakfast was great as were the views from the top of the hotel around the pool. Staff were very friendly and happy to help. We liked everything, especially how clean and cosy everything was. The room are big and comfortable and the spa is super nice as well. The location is perfect, we were very close to everything. Decoration is to the finest and breakfast was delicious with a great variety. The Pearl Marrakech offers a rooftop swimming pool, 3 restaurants and a lounge bar with an art gallery. You can browse the on-site luxury shops or walk the 15 minutes to the Royal Palace and Jamaâ el Fna Square. 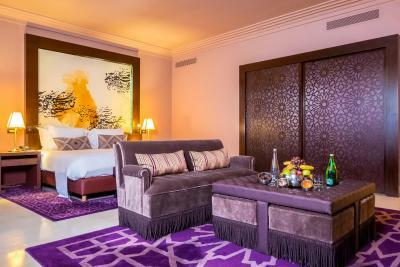 The chic rooms and suites at The Pearl Marrakech feature a private balcony and a seating area. Each one has been decorated using oriental influences and also includes an en suite bathroom with bathrobes and slippers. Homemade cakes and pastries are available for breakfast every morning at this 5-star hotel. You can also sample Italian, French and Moroccan cuisine on the terraces while admiring the panoramic views. 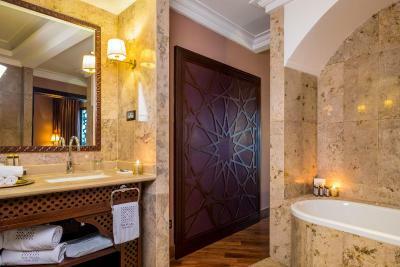 Facilities available with an extra cost include a spa with a hammam, sauna and beauty treatments. 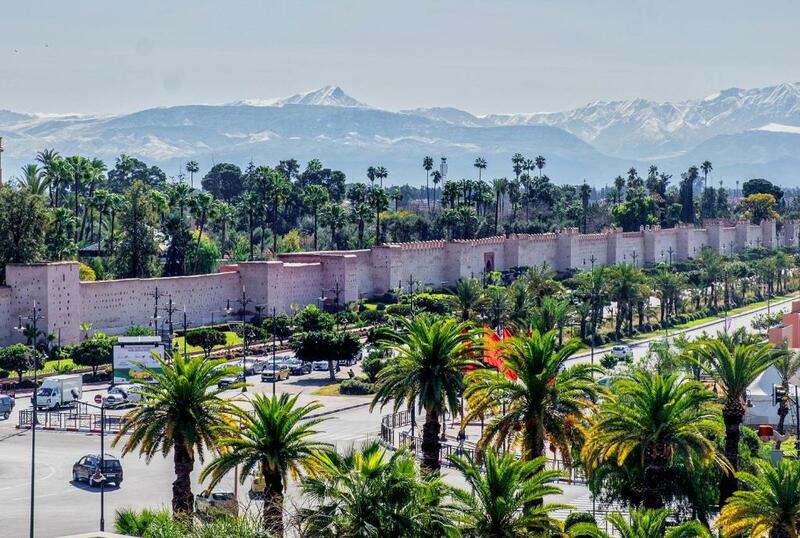 Free parking is provided on site and Marrakech-Menara Airport is a 13-minute drive from the hotel. Hivernage is a great choice for travellers interested in sunshine, friendly locals and ambience. 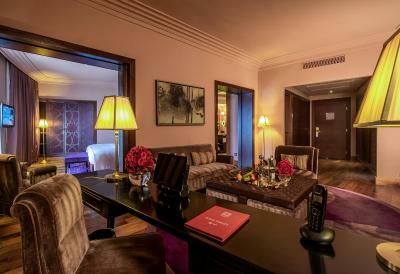 This is our guests' favourite part of Marrakech, according to independent reviews. This property also has one of the best-rated locations in Marrakech! Guests are happier about it compared to other properties in the area. 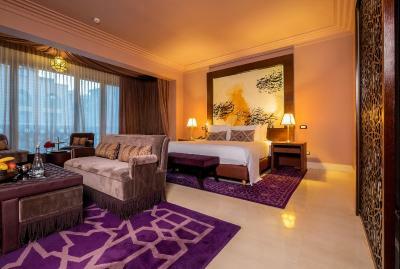 The Pearl Marrakech has been welcoming Booking.com guests since 4 May 2012. Good for couples - they rate the facilities 8.4 for two-person stays. 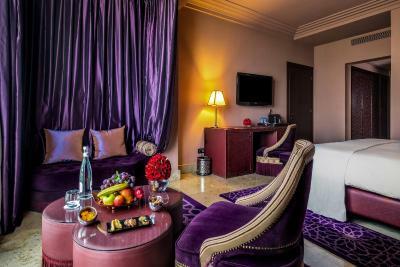 When would you like to stay at The Pearl Marrakech? This twin/double room features a balcony, minibar and bathrobe. 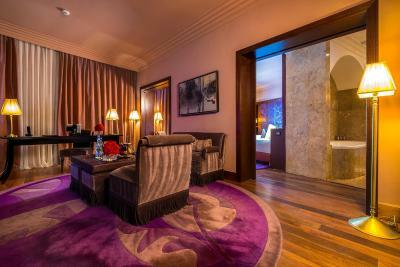 This suite features a balcony, minibar and iPod dock. This double room offers a special breakfast served until 14h00. Free access to Hammam, sauna, hot tub, swimming pool and fitness room. The offer also includes a 20% discount on all spa treatments. This room can accommodate up to 2 children under 12 years old for free. Hotel surroundings – This neighbourhood is a great choice for travellers interested in sunshine, friendly locals and ambience – Check location Excellent location - show map Guests loved walking around the neighbourhood! House rules The Pearl Marrakech takes special requests - add in the next step! One child under 12 years is charged EUR 45 per night when using existing beds. 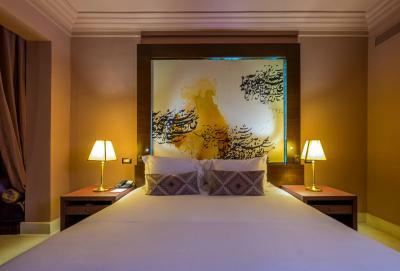 The Pearl Marrakech accepts these cards and reserves the right to temporarily hold an amount prior to arrival. One of the most picturesque neighbourhoods in Marrakech! Level of service is very mixed. There are lots of people in suits who seem to do nothing but walk around. If you ask them for something they look puzzled and then find a waiter to look after you. The waiters work very hard and try to provide the best service they can. There seems to be a hierarchy amongst the staff where if you wear a suit you don't need to do much. The reception staff are rude and unhelpful. There is a new manager there and she is working hard to fix this but she has a lot to do. The cleanness of the hotel is also mixed and there were a lot of things that didn't work. For example none of the showers worked in the haman. There was no explanation or apology for this. Great location. Good facilities and very relaxed environment. Room was excellent. Fabulous Haman, very peaceful and good spa. Good value for money. Rooms were very dark. Breakfast buffet was not very good. We had to flag down someone to get us coffee and water. Elevators were slow. Great locations and comfortable accommodations. Roof Top pool and bar was nice. Nice welcome. Service was worst of any top hotel I’ve ever stayed in. 1 evening the hot water was broken so could only get cold Showers. Ordered from room service and food never arrived. One night the burger was cold was cold when it arrived.